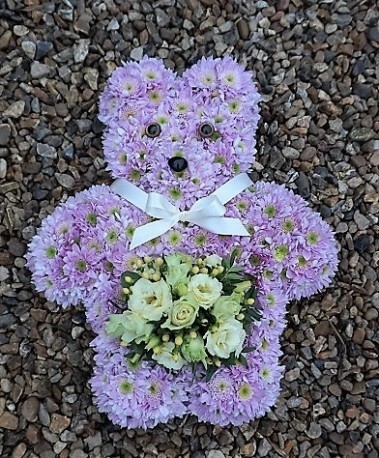 This specialised tribute is a small Teddy Bear (approx 18 inches in height) and is based in pink chrysanthemeums. 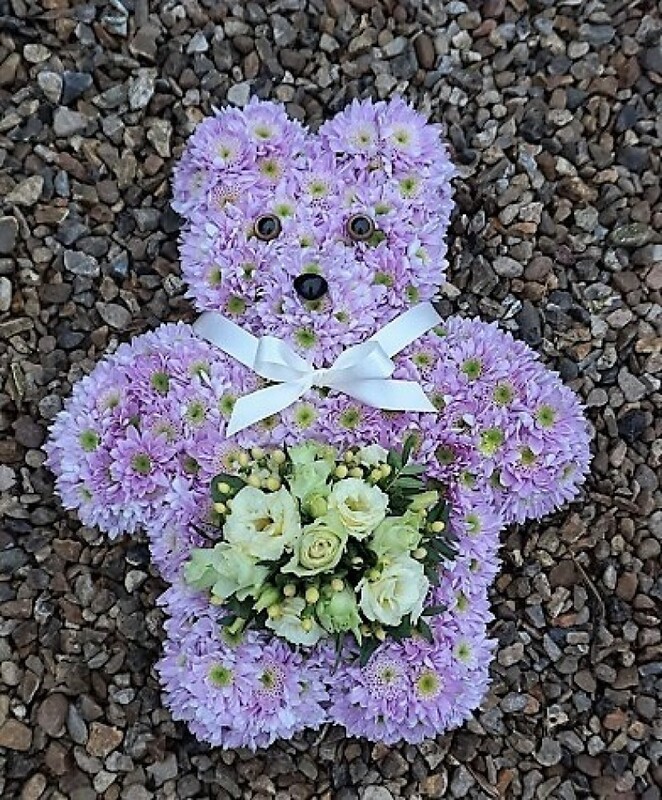 The spray on the Teddy is a small cluster of flowers including Roses. The Bear comes complete with a satin Ribbon and bow around the neck. This can come in a variety of colours, please specify the colour of the ribbon and flowers you would like.